Discover something a little different with our New World wine selection, as your palate takes a journey of exploration from Argentina to New Zealand. Crossings Pinot Gris – The rugged valley of the Awatare Valley in New Zealand is not a location for the faint-hearted. However, these harsh conditions unearth some of the Worlds more rare and interesting wines. This one in particular is brimming with flavours of pear and notes of exotic fruit and honey with a dry mouth-watering finish. 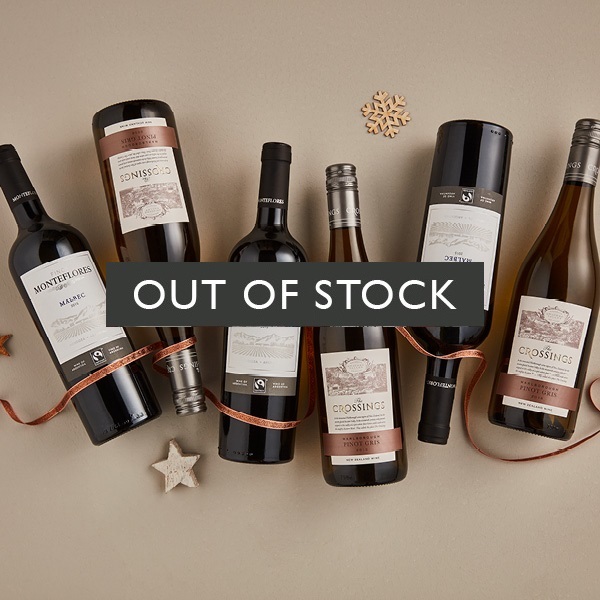 Finca Monteflores Malbec – This bright violet wine bursts with aromas of spiced plum and blue cherry, with flavours of supple berry fruit and cinnamon, produced by one of the finest wineries in Argentina. Winner of the International Wine Challenge bronze award 2017 and Drinks Business Global Masters award 2015. Please contact customer services on 0800 221 8086 for further product specific information. Packaged in a plain cardboard wine box.